I’m not trying to hurry summer out the door… I just want to give you a little fall inspiration to think about and fall fun look forward to! So go on and keep swimming in the ocean or pool and keep wearing your flip flops and keep picking those beautiful summer flowers… and live in the moment enjoying the remains of summer! And when you are ready, visit a few StoneGable posts that say HELLO FALL, SO GLAD YOU’RE BACK! Here are some easy-to-incorporate fall ideas… when you are ready! 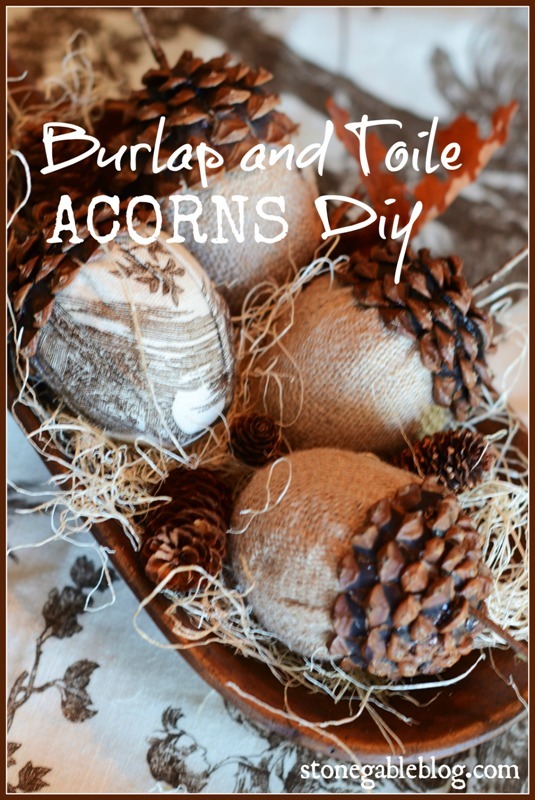 BURLAP AND TOILE ACORNS DIY was my favorite fall project I did last year. These big handsome acorns turned out even better than I ever thought. Aren’t they a great touch of fall! Everyone who came to visit StoneGable loved them! If pillows make you swoon (me too! 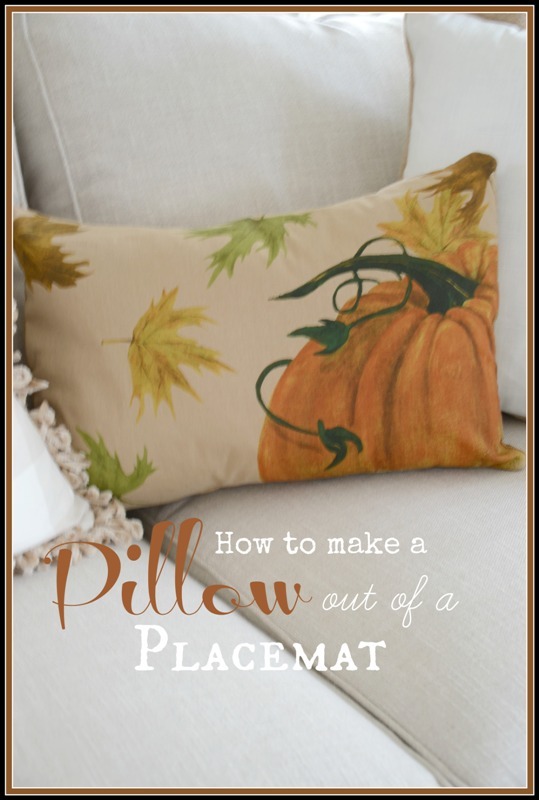 ), then you will love this HOW TO MAKE A PILLOW FROM A PLACEMAT DIY. I found this fabulous fall placemat at the Pottery Barn Outlet and knew it was far to pretty to be hidden underneath dishes! If you want to make an easy-peasy early fall dessert, try this yummy and oh, so moist RAW APPLE CAKE. It’s my go-to autumn dessert… but don’t forget the ice cream! 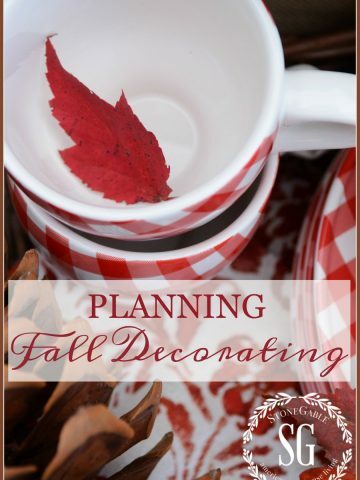 I have tons of archived fall decor, diy, recipes and ideas that I’ll be sharing with you as we move into September and October. 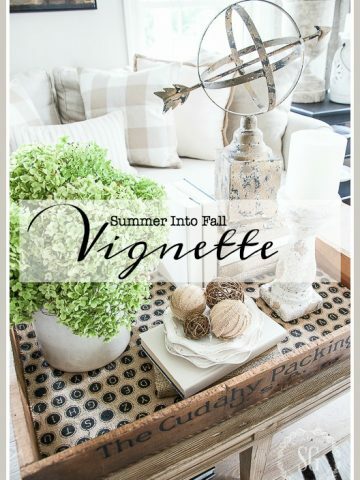 Keep an eye on my sidebar for fall posts and other fall ideas! Head on over to Design Chic and visit StoneGable there! Don’t forget to pin your favorites to your Pinterest fall, recipe or diy boards! Fall is in full swing in western Pennsylvania. I love fall, but not looking forward to what will follow. I am looking forward to see what you have in store for Christmas! I’m sure your decor will be stunning! Yvonne, I love all of your vignettes! Can you please tell me what the greens in the white pitcher in your kitchen vignette are? They look lovely! Thank you! Hard to find large pumpkins here yet but LOVE your inspiration !!??????? Fall is my FAVORITE Season and Thanksgiving my favorite holiday. Love seeing the ideas for this season! Thank you, Yvonne! Morning Yvonne, two questions please….do you think you will carry Angel wings again in future? Also, do you have an idea how to hang a really heavy mirror? Was told it needed something that would make finger sized holes in drywall. Also said it would take two men to lift it. My husband afraid it would break drywall. Did not buy it, but curious. Hi Yvonne, I live in Florida with very humid days and nights. It is so bad I can’t even get my wreaths to stay on the front glass doors. Last weekend I pulled all my fall treats out of the shed and went to town. The inside of my home is fully decorated for a home tour coming up shortly. The outside will have to wait until the mums come out. My husband thinks it’s too soon but just love it . We hate our summers here and spring is nice but not too much decorations goes on. My blue and white looks so good with the pumpkins. I am just loving this and know you are also. Yvonne, your blog is so inspiring and full of beautiful ideas. I right there with you, bring on fall. Autumn is my favorite Season of the year, dear friend!!! Thank you for awakening my inspiration with your past posts!!! 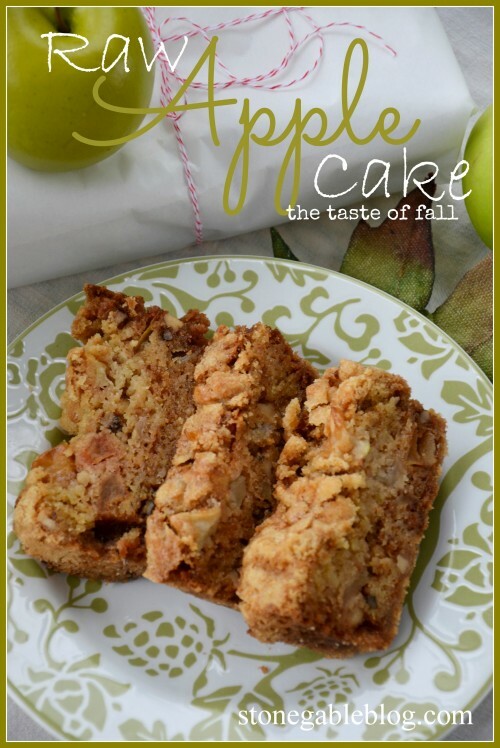 Your Raw Apple Cake looks like the perfect cake to take on our Annual Trout Fishing Trip! Heading back to copy your recipe!!! P.S. I don’t usually begin Autumnal Decor until Labor Day Weekend. . .
We loved having you on our blog! Thank you so much for letting us share your talent with our readers!! I must admit that I’m not quite ready for summer to end. It has seemed to be a mighty quick one this year, but I always enjoy the crisp days of fall. We hit a record in Seattle today and most of us don’t have air-conditioners as most days it is cool and milk. I am BEYOND ready today for fall! I love your pillow, that is an amazing clever idea! I am a new follower and have enjoyed your inspiration. 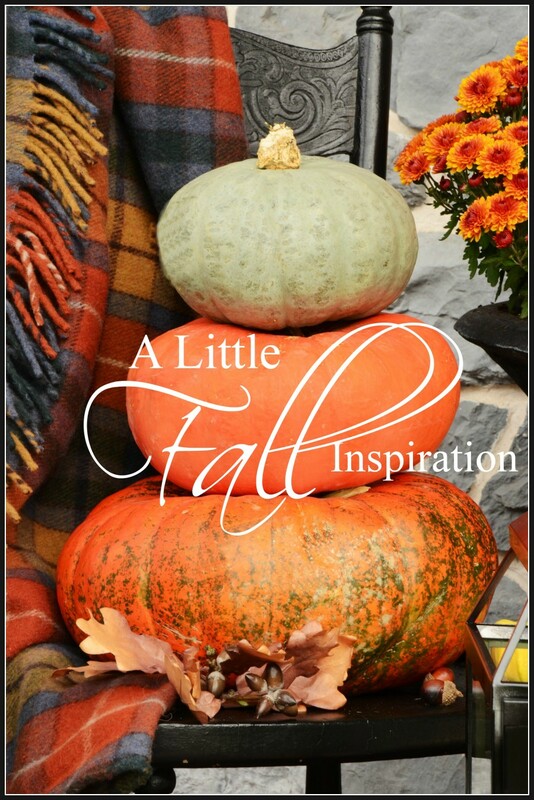 Love all of your Fall Inspirations Yvonne! !…and hopping over to visit the love ladies of Design Chic….love their blog! I was born and raised in Pittsburgh, Pa. I have been in the hot south since 1984. As a child my family would travel by train to Lancster to visit friends. I still remember what a beautiful and serene place it was. Every fall I think back to my PA roots and the beauty of the hills of western pa, and how God decided to paint them. Can’t wait to get out the pumpkins and the mums!!!! Excited for Fall! Thanks for all your inspiration!!! As much as I keep telling myself I am not ready to shoo summer away, I really, truly cannot wait for Fall 🙂 Living in Florida, the North Central part, makes for a very long summer. So by now, I am ready for cooler temperatures, or at least the idea of it. PS, I did pop on over and see your feature. As I am finishing up my reading this am before I head to the pool for my daily laps, I couldn’t resist your pumpkin stack~as much as I love summer, pumpkins are one of my very favorite things and I can’t wait to start bringing them out! I started collecting white ones last year and recently bought some rattan ones…I think they might start coming out soon! Thanks for the fall head start! I do still plan to enjoy what summer days we have left in my flip-flops. Summer is my favorite. But come September, I will be ready for the change of season. Love all your ideas. I made some acorns last year using brown paper bags instead of burlap. They turned out so cute!!! I love the pumpkin pillow. Now to get some fall material get some made! Thanks for the inspiration! I was introduced to your blog via Kelly at My Soulful Home. Fall is my favorite time of year and I love to decorate for it…loved retaking your Fall Home Tour again my friend!! 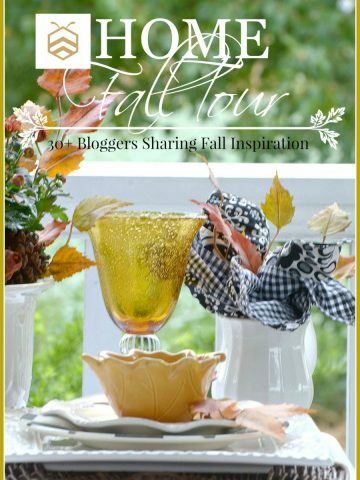 Beautiful fall inspiration Yvonne….makes me want to get creative at my house. 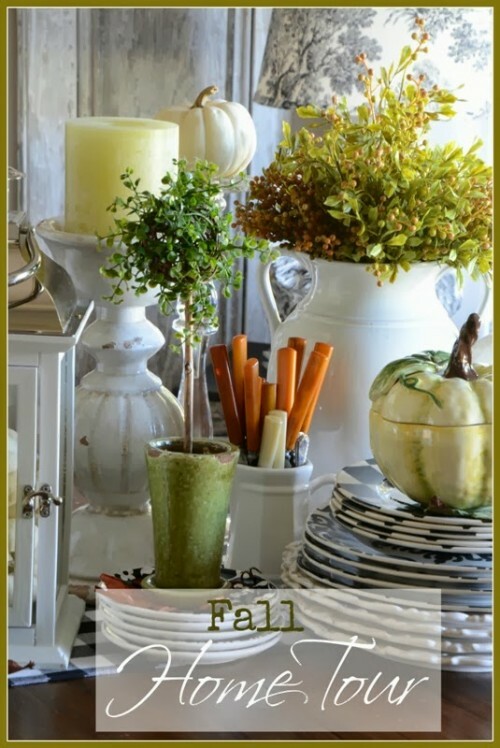 Love all of your ways to welcome fall into the home! Fall is my absolute favorite time of year! Especially for decorating! I have to check out those burlap acorns. How cute! 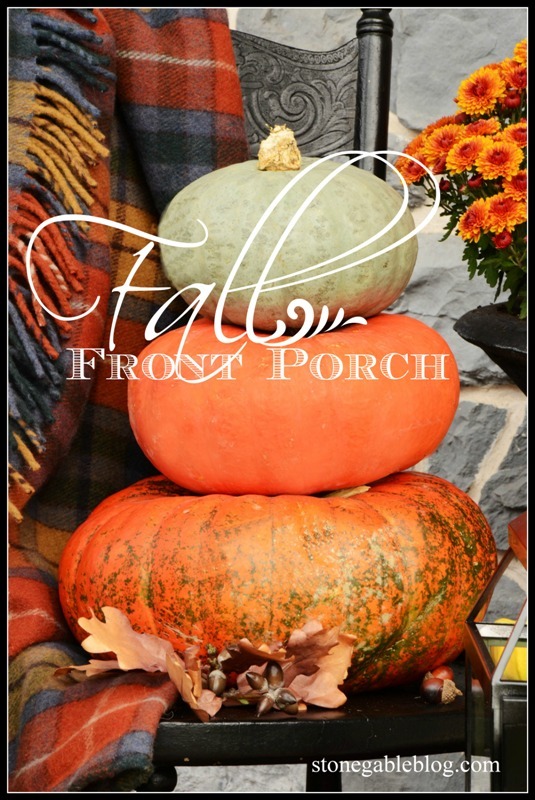 Love your fall porch. The explosion of fall colors are like a celebration of the season to me. Can’t wait to see more! Regrettably it’s almost time to breakout the pumpkin pie spice mix. I appreciate your beautiful crafts and tutorials. Also, loved the feature at Design Chic. Oh I love Fall, and look forward to it! I live in Texas and our temperatures are in the low 100’s and it’s NOT my favorite time of year. I love early summer, but by the time August arrives it’s absolutely miserable outside so I dream about Fall and love inspiration and ideas for Fall! Decorating my front porch is my favorite, and I’ve been wanting a tartan throw like yours! I’m going to research and try to find one. I have two black rocking chairs, and love to add pillows in fall colors, and would love a tartan throw! I put hay bales and tons of faux pumpkins out (because real ones rot too quick in our warm temperatures) and faux Fall leaves and garlands. Once again, in Texas I don’t see a lot of Fall color so I have to “fake” it. LOVE your blog, it makes my day every day! Thank you for the beautiful fall inspiration. It’s all gorgeous! I love fall but I hate what follows! I’m not a winter person. I love the three seasons– but your beautiful photos make me anxious for the colors of fall and your apple cake looks so yummy! I will definitely make it. Although I hate to admit it, Mother Nature seems to be already transitioning into Fall! I love the look of your front porch, exploding with the colors of the season! Do you know from where the plaid blanket was purchased? The tartan throw is the ancient Buchanan Tartan. I got it from the Scottish Shop on ebay. Oh my!!! It is hard to believe summer is almost over and fall arrives! Wow! Is it just me or is time on a roller coaster? I love all your ideas and have tried many of them. I do love fall as the colors are just amazing! We were in Lancaster this past week and will be back again in October. We love the fall air in your area! Such a beautiful area of our country!! Thanks for all you share with us. I do love fall!! Gonna check out the burlap and toile acorns. I haven’t missed the tutorial for the plate rack apron holder, have I? I just love the one you have! You have not missed the plate hanger diy yet. Later this month (hopefully!). Beautiful inspiration, Yvonne! I can’t wait to get started “Fallifying” our home!